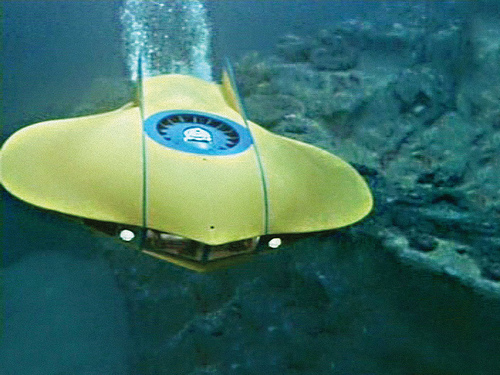 Identified by Doug LaLone: The Flying Sub from Voyage to the Bottom of the Sea. 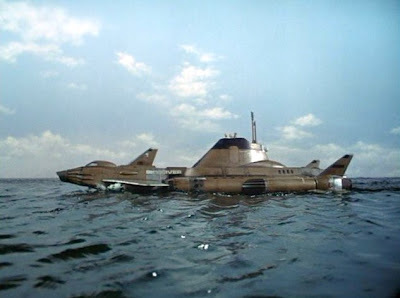 Identified by Doug LaLone: Stingray from Gerry Anderson's Stingray. Identified by Meredith: Skydiver from UFO; episode "Sub Smash." Identified by jdigriz: The Cetacean from "Man from Atlantis." 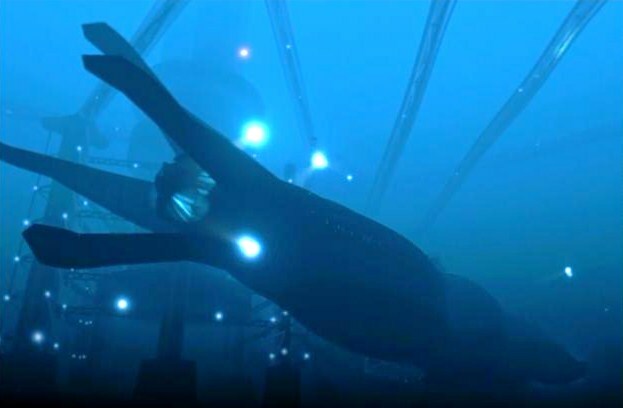 Identified by Merle F. McClelland: The Nautilus from "The Return of Captain Nemo"
Identified by Doug LaLone: the SeaQuest from SeaQuest DSV. Identified by Chris G: From the X-Files, "Endgame." #10 is from the X-Files episode "Ice." Thanks for starting off the game! Not going to try for the episode. 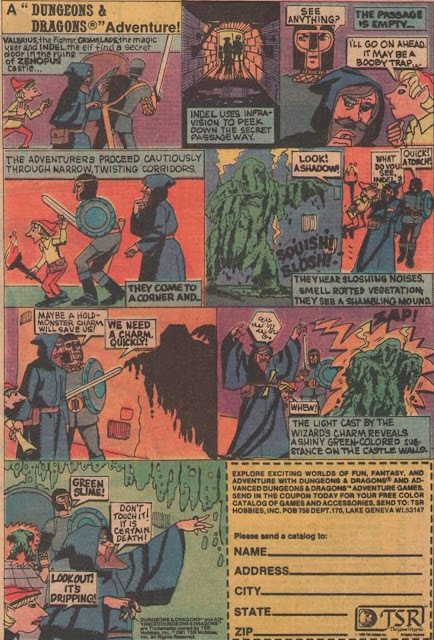 They reused images so often it could any of a number of them! That sub set was something spectacular. They built that from scratch. I just watched Ice not too long ago. It's definitely from one of the Season Two Episodes I believe. 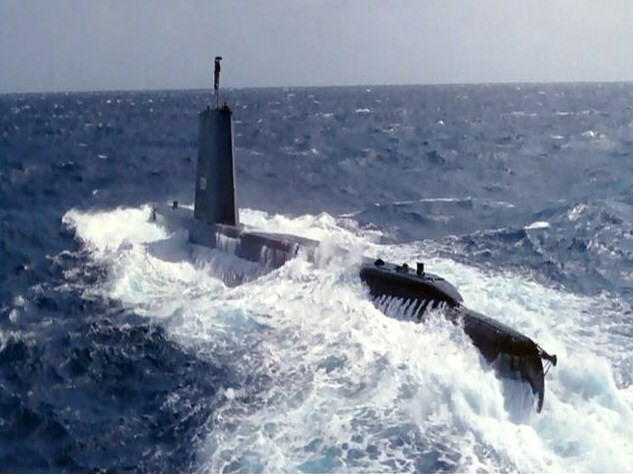 How about a James Bond sub or that silly sub thing from The Phantom Menace. And my contribution is going to be #5- UFO. Cheers... look forward to the identifications. Oh, frak. It's the one with the aging virus, right? Meredith: That is indeed Skydiver from Gerry and Sylvia Anderson's UFO. You're right about the use of stock footage, though this particular image was cropped from the episode "Sub Smash." Still, great job identifying that beautiful sub/plane! SFF: You are right, my friend, that the X-Files shot is from a second season episode (a two part episode!) 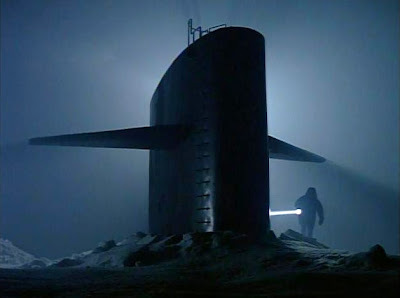 I'll see if anyone remembers the title, but this moment -- with the conning tower coming up through the ice -- is an iconic X-Files image, I'd say. You accurately identified the sub Skydiver from UFO, but Meredith beat you to the punch by just a few minutes! D'oh!!!!! Chris G: You're in the right season, my friend (second), but this isn't from the episode with an aging virus (which is set upon an old freighter and titled "Dod Kolm). Getting warmer!!!! I found this quiz to be extremely difficult and can only guess the following. #3 Voyage to the bottom of the sea? 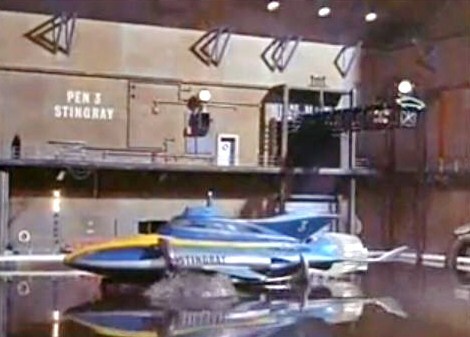 #4 the Stingray from Thunderbirds. 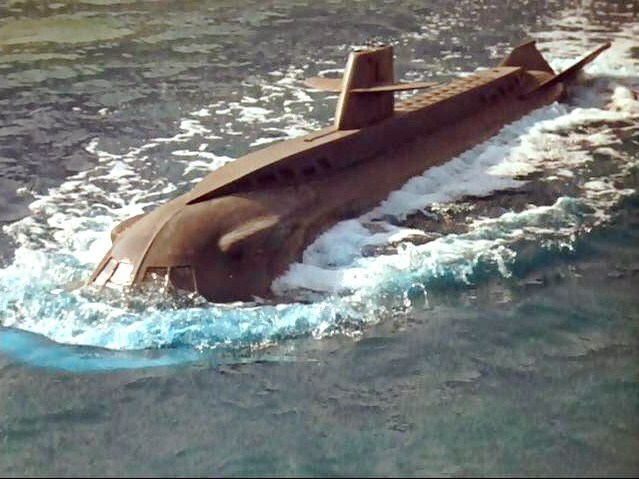 #9 looks like a rear view of Seaquest? Thanks again! Yes, this week's is very tough, no doubt about it. But you did very well, my friend. #3 is the flying sub from Voyage to the Bottom of the Sea; #4 is Stingray from "Stingray" and # 9 is Seaquest from SeaQuest DSV! Great job on a tough one! 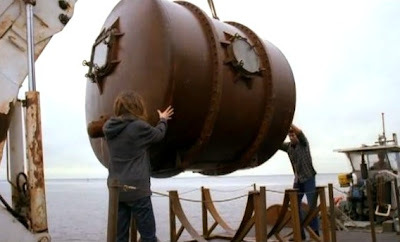 I think #6 is the Cetaecean from "Man from Atlantis". #2 is the Seaview from "VoyageTTBOTS".If movies count, then I think #1 is the Sawfish from "On the Beach",probably the best end of the world film ever made. Wow! 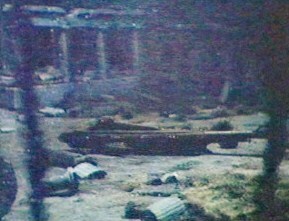 You identified th Cetacean from "Man from Atlantis," despite the awful quality of that photo! (all I could find...). 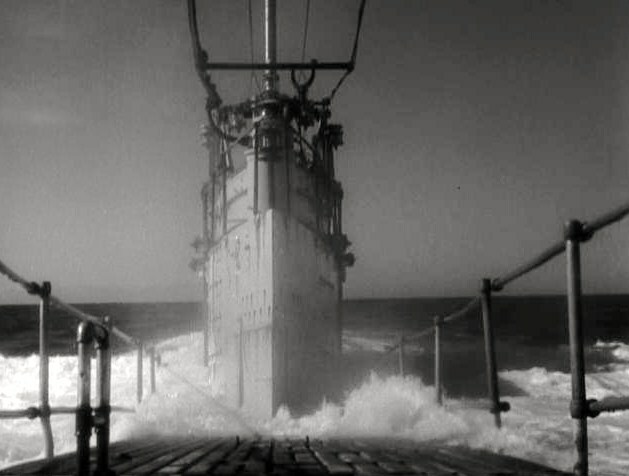 You also correctly identified the Seaview from Voyage to the Bottom of the Sea as # 2. Outstanding. Number 1 is not from the outstanding On The Beach, but that's a brilliant deduction. But, that sub is also from the year 1959 (think TV, though, rather than movies...). #1 Twilight Zone--:Judgement Night" I was going to say "On the Beach" as well until I read your clue in the comments here. Is #7 the Nautilus from "Return of Captain Nemo"? Brillaint identification! #7 is indeed the Nautilus from the Irwin Allen series "Return of Captain Nemo" (which ran for only a hand ful of episodes). Excellent supposition. But it's not from Lost! Still, that was one I should have remembered to include! Lui Yacco: falta la "Cimitarra del Océano" el Nautilus del film "Liga de la Gente extraordinaria" con un excelente y estilizado diseño barroco!